I know, I know. “It’s all about the numbers.” Investor relations people (and some CEOs and CFOs), steeped in accounting fundamentals and valuation formulas, are skeptical of public relations. We scoff at press interviews, photo ops … the “spin” stuff PR people do. Of course, no respectable fund manager or analyst would admit to being swayed by a press release, or getting an idea from a newspaper. “It’s all about the numbers,” they say. Trouble is, influencing the market is not all about the numbers. It’s all about the numbers – plus getting the right people to pay attention. Two recent studies from respected business schools analyze extensive data on the relationship between press coverage and the market for individual stocks – and conclude that broader dissemination of news has benefits in the capital markets. By increasing the visibility of firms, greater dissemination may also reduce a firm’s cost of capital. In this paper, “dissemination” has to do with putting news out and getting it covered in the business press. Soltes says the average firm sent out 21 press releases a year, one every 12 trading days, covering deals, earnings and other news. (His tables give a median of 14 releases a year, just over one a month, a figure I like better as the midpoint in a range of small to large companies). For each release, business publications wrote an average of 1.5 articles – obviously, many releases get no coverage, while some get a lot. Soltes did not investigate why some releases get more coverage – being newsworthy probably is the key, although making connections with reporters also helps. Based on an average sized trade, a 20% increase in press coverage reduces the average cost of a trade by $1.07. With the average firm having nearly 25,000 trades a month, this translates into a significant reduction in trading costs. Soltes also finds more dissemination of news increases monthly trading volumes and decreases the volatility of individual stocks. Most companies – and institutional investors – value reduced trading costs, increased liquidity and lower volatility. The other recent study, by Brian Bushee and three accounting colleagues at the University of Pennsylvania’s Wharton School, focuses on quarterly earnings news. This one looks at the three-day window around earnings (earnings release date, plus or minus one trading day) and yields more detail on immediate trading effects. Our results indicate that, ceteris paribus, press coverage has a significant effect on firms’ information environments around earnings announcements. We find that greater press coverage during the earnings announcement window is associated with reductions in bid-ask spreads and improvements in depth. We find that greater press coverage is associated with a larger increase in the number of both small and large trades. … For small trades, these results are consistent with the press providing information to a broader set of investors and triggering more trades. For large trades, these results are consistent with press coverage reducing spreads and increasing depth enough to reduce adverse selection costs and encourage more block traders to execute trades. Both papers take a mechanistic view of corporate processes for disseminating news and how the media respond. These are data mining studies by accounting scholars – focusing on numbers of releases and press stories, word counts and similar measures of dissemination. Neither of these studies venture outside of traditional “news” databases to analyze the impact of using social media, blogs and so on, to disseminate news. My guess is future studies will prove that the impact on markets comes from getting the word out, by any means, as long as you are reaching the investing audience. Bottom line: Issuing news has a measurable benefit for public companies in the capital markets – increasing volume, reducing trading costs and reducing volatility. More frequent news is better. 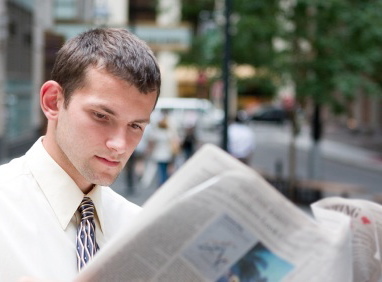 Getting more reporters or news outlets to write about the company amplifies the benefit. That’s what the quantitative evidence says. So when PR people speak of “creating visibility,” it does matter in the market. This entry was posted on July 8, 2009 at 12:39 pm and is filed under Media & public relations, The value of IR. You can follow any responses to this entry through the RSS 2.0 feed. You can leave a response, or trackback from your own site. Business Wire blogged about the Eugene Soltes study back in January 2009. I enjoyed reading your take on that report as well as the Brian Bushee report. As a 21-year Business Wire veteran, I feel strongly in the value of widely disseminated press releases as the cornerstone to full and fair disclosure for all capital market participants.